Caretaker manager Michael Appleton oversaw Leciester City's first win in seven matches as the Foxes moved out of the bottom three. Swansea City goalkeeper Lukasz Fabianski had to deny Shinji Okazaki, Marc Albrighton and Jamie Vardy before the hosts fell behind as Federico Fernandez diverted Riyad Mahrez's cross into his own net. Leicester went on to double their advantage early in the second half as Mahrez cushioned Albrighton's cross into the centre for Okazaki, who finished at close range. 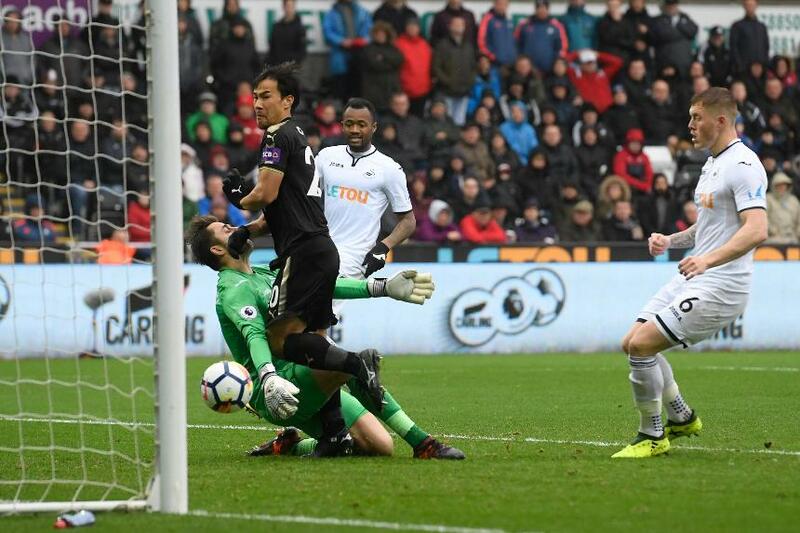 Alfie Mawson halved the deficit for Swansea seven minutes later but there was to be no equaliser. Leicester rise five places to 13th, while Swansea drop to 15th.